Miss the original stork? 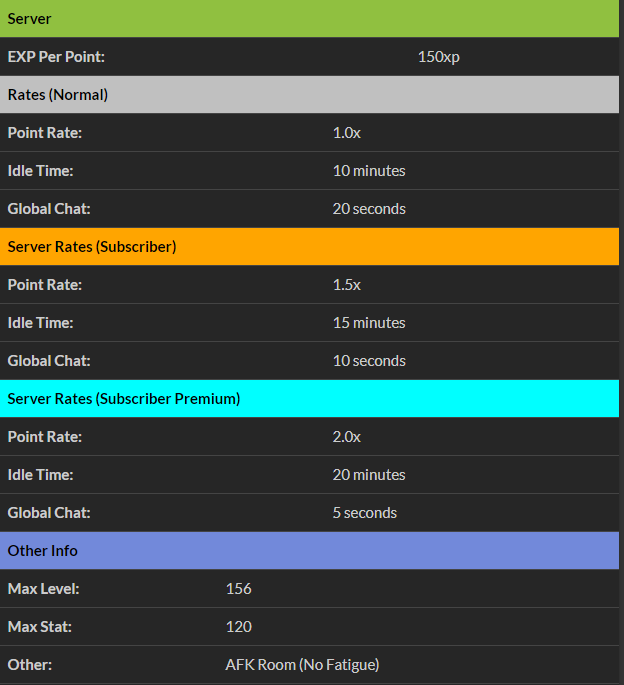 Then this server is for for you. 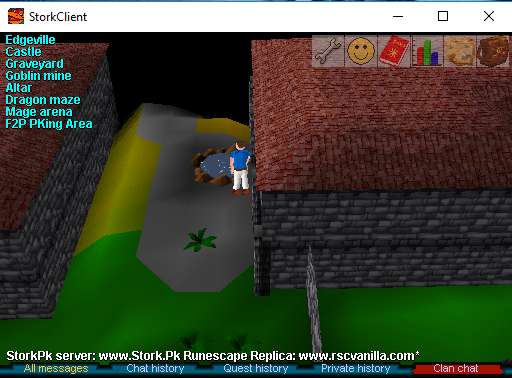 Our Stork server forum is now open to the public. You can now register at . 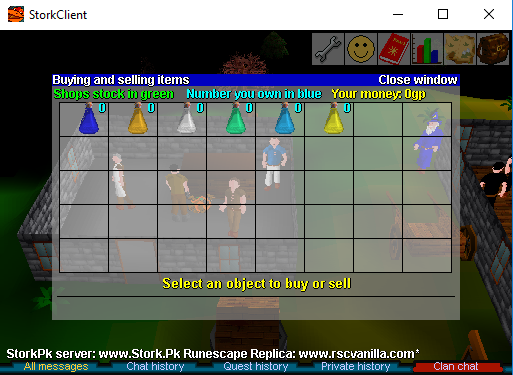 On the main page, you can find a thread with more information concerning server opening and more information concerning stork. 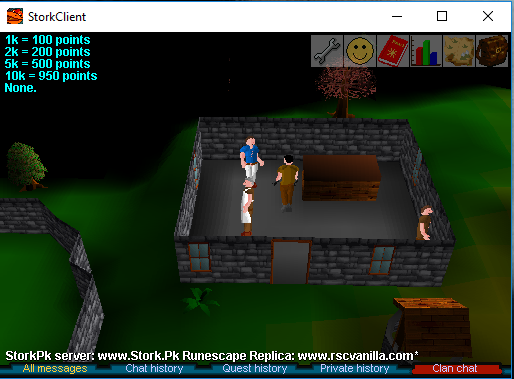 After creating your forum account and character at you will spawn in Edgeville with an iron sword in your inventory which can be used to kill men for your first points which can be spent in the point manager system to level your stats. 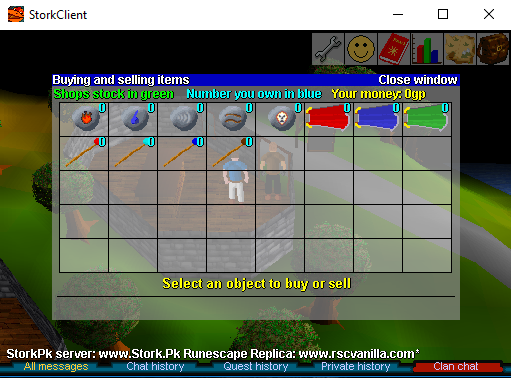 We advise you to get free food from the chef south of Edge bank (F2p: Swordfish P2p: Sharks). 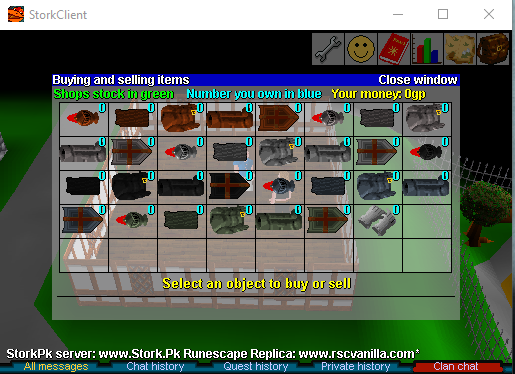 - Max stat is 120. 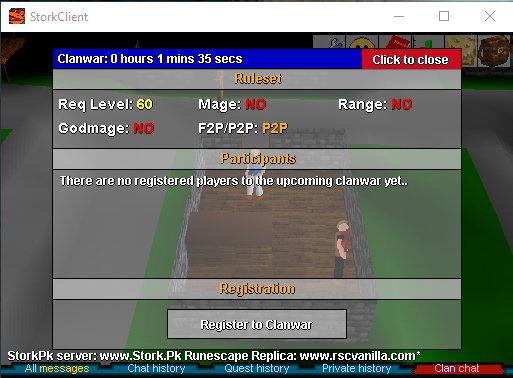 - Clan system + Clanwars & territory. 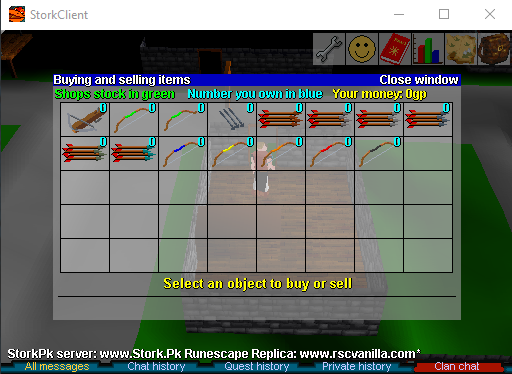 - Staking/Dueling (Draynor location) with two npc close by that can heal you and sell potions. 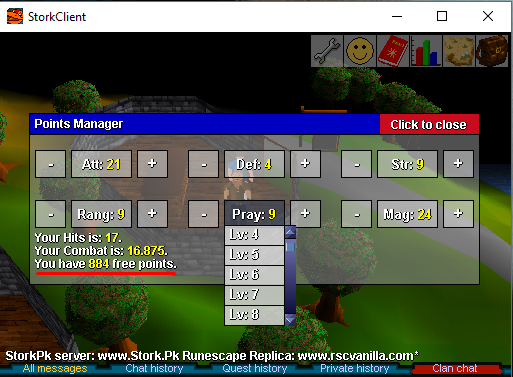 - Kills/deaths ratio highscore where you'll find the best pkers on Runescape Classic. 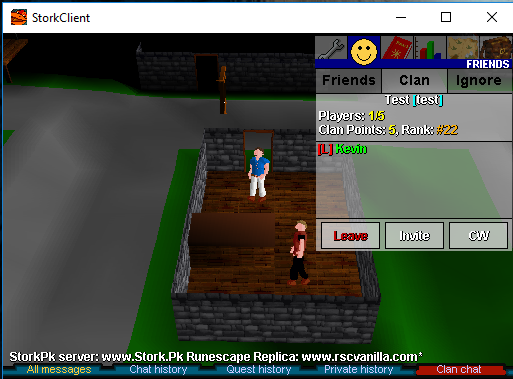 - Very Smooth Gameplay on both PC and Android. 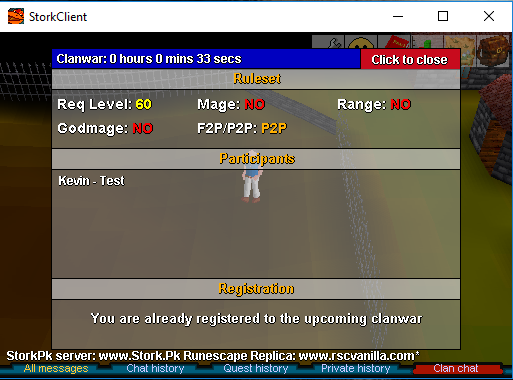 Re: StorkPk - Points based pking server on PC and Mobile - NOW OPEN!! 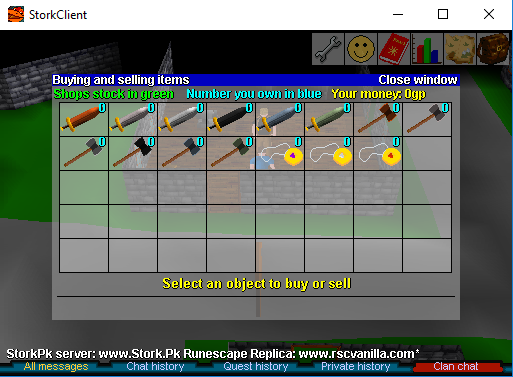 Link doesn't work.. was excited to see Stork replica after all these years but looks like it's not to be. Nextly i sat for 5 mins and waited for the loading to be done, it wasnt. 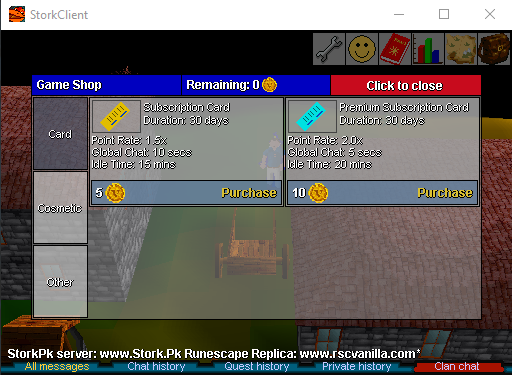 and on top of it, it doesn't say storkpk its says once again rscemulation and just loads continuously.